As you can see Ghilrond also likes to sketch some things in his green book. 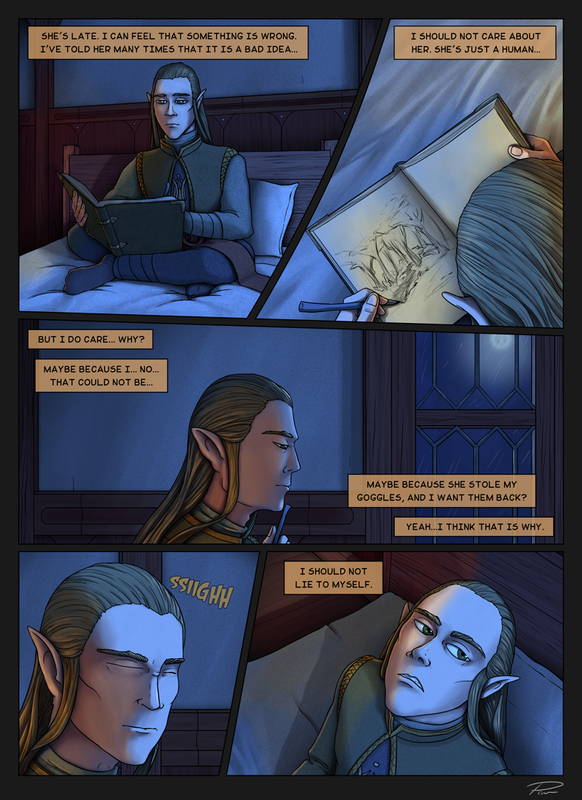 Many things were happening at the same time, that is why this page required more time to finish. I was playing around with the lights and darks and colors to make it ready.